for a range of conditions. At this practice your acupuncture treatment will take place in calm and peaceful surroundings and with the knowledge you are in experienced hands. You will find looking through this website, a selection of conditions for which acupuncture can be used as a complementary or as an alternative therapy. If you want more information or want to discuss anything further please don’t hesitate to telephone Janine on 01932 827222 or via email at info@weybridgeacupuncturist.co.uk for a free consultation. Janine Jones MCSP MAACP has over 25 years of experience as a Chartered Physiotherapist and Medical Acupuncturist. She has had personal experience of acupuncture and realised how well it complemented physiotherapy – both therapies promote good health without the use of drugs. On gaining the physiotherapist’s acupuncturist qualification she became a Member of the Acupuncture Association of Chartered Physiotherapists (AACP). Seeking to broaden the spectrum of conditions she can treat, she qualified with the British Medical Acupuncture Society (BMAS) in 2009. These are both organisations which promote Western Medical Acupuncture and require their members to be fully up to date with what’s going on in the acupuncture world through Continuous Professional Development (CPD). 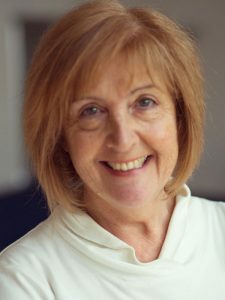 Janine not only has a wide experience of treating musculo-skeletal, orthopaedic and some neurological conditions with acupuncture, but she treats other conditions too – for example infertility and subfertility problems, migraine and other types of headache, hay fever and irritable bowel syndrome. Janine suggested I try acupuncture for my back pain and as a complementary treatment to the physiotherapy. Acupuncture has been so successful for me. It doesn’t just relieve the pain, it also makes me feel better in myself. I have recommended her to others. I have been having acupuncture with Janine since coming off HRT and my menopausal hot flushes and night sweats returned. The acupuncture has reduced them considerably. Janine’s manner and her lovely clinic makes the experience comfortable and relaxing so all round I highly recommend her. I started having acupuncture to help with anxiety and chronic insomnia about 8 years ago. Janine’s warm professional manner instantly puts you at your ease and makes her very easy to talk to. It relaxes me so much I usually fall asleep whilst the needles are in me!